Following reactions generated by Harrysong's new version of his last track, Selense, which feature Dice Ailes and Iyanya, the singer has released a statement that contrary to people’s belief, he didn’t change the artistes on his new version of ‘Selense’ because of Kizz Daniel, who in the song stated that he is the biggest artiste in the country. That didn’t matter to Harrysong according to BZBD findings. Rather, the change was made because of a bigger issue. 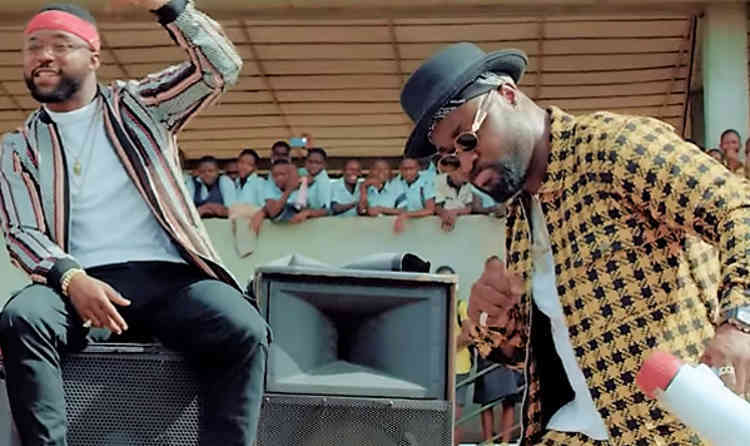 Harrysong who spoke through his manager, Desmond Ike, stated that the new Selense, which is the video, was because of an issue concerning the two artistes on the first release, Reekado Banks and Kizz Daniel, stating that Kizz Daniel wasn’t making it easy for Harrysong’s crew. “It wasn’t about what Kizz Daniel said on the song; there is nothing out of place about it. When you do something with people and they don’t make it easy for you, you have to look for a way to sort yourself out. "Harrysong originally did the song with Reekado Banks and Kizz Daniel but at a point, Daniel said he didn’t want to star in the video because Reekado would be in it. He said he didn’t want to have anything to do with Reekado. "We tried to sort out the issue between both of them so that we could shoot the video but Daniel refused vehemently; he didn’t want any reconciliation. Because of that, we decided to do another version of the song with Iyanya and Dice Ailes. Kizz Daniel was just being arrogant about the whole thing and behaving like he is a demigod,” explained Harrysong in the statement. The manager stated that Harrysong and his team had no previous knowledge of the beef between Kizz Daniel and Reekado Banks as the artistes have recorded their part of the song differently. They were only tipped when Kizz Daniel refused to be on the same song as Reekado without stating the real issue. The manager, Ike revealed that they have tried all they could but Kizz Daniel hasn’t bulged hence they have moved on with Iyanya and Dice Ailes and are grateful that the new song is making the kind of success it is making. From this information, we have deduced that there is bad blood between Kizz Daniel and Reekado Banks that was never in the limelight and while we do not have information on that yet, we will certainly update you for more once gotten. Harrysong has revealed why he dropped Kizz Daniel and Reekado Banks from new Selense video.